Another holiday, another set of lunch notes! 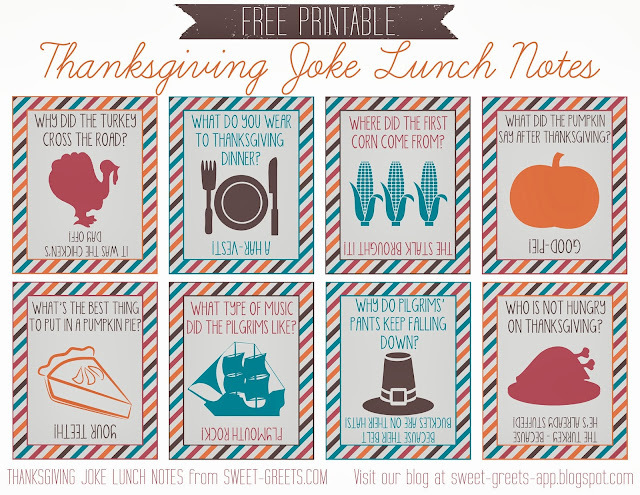 Here are some printable Thanksgiving lunch notes featuring kid-friendly jokes about pilgrims, turkeys and pumpkin. Just click the image above to download. Happy Thanksgiving!